On January 19, Jigjey Kya a 17-year old Tibetan school boy of Shigtsang Pungkor town of Luchu in Eastern Tibet (now in Gansu province of China), was seen running in the street and shouting slogans demanding Tibet's freedom from China and Dalai Lama's return to Tibet. His clothes were doused in kerosene and he was holding a lighter in his hand. Had he been able to light the fire, he would have been the 98th in the ongoing spate of self-immolations across 'China's Tibet' since February 2009. But before he could do so, he collapsed and soon died. His hand written suicide note later indicated that he had consumed a strong dose of some poison to ensure that he did not land alive into the hands of the Chinese police if he survived the flames. Jigjey's fears about China's Public Security Bureau, an equivalent of Hitler's Gestapo in the Nazi era of Germany, were not misplaced. Well-recorded accounts of Tibetan immolations, as compiled by various Tibetan and independent international rights groups, present many cases when instead of saving the burning Tibetan self immolator, the PSB agents kicked the victim with their boots and hit him with batons. In most of over 15 cases in which the immolator survived, their whereabouts are not known and the family members have had to go through serious problems with the police and the administration. In Ngaba, known for famous Kirti monastery and a major centre of anti-China protests and self immolations in recent years, two monks Tashi, 21, and Lungtok, 20, committed self-immolation together on 13th August 2012. While Lungtok died on the scene before the PSB agents arrived, they collectively kicked and hit Tashi before taking him away. Soon after Tashi was declared dead. The PSB did not announce whether he died of burns or police beating. Phuntsog, 21, earlier in March. Kirti was the scene of heavy anti-China public protests in March 2008 when Chinese police shot dead 13 Tibetan demonstrators. In another case a nun in flames screaming pro-Tibet slogans was practically stoned to death by a crowd of newly settled Han Chinese. Monks and nuns occupy over a fourth part of the list of self-immolators across Tibet for the reasons that strong police control and communist indoctrination in monasteries have left the monastic community in a state of utter frustration. 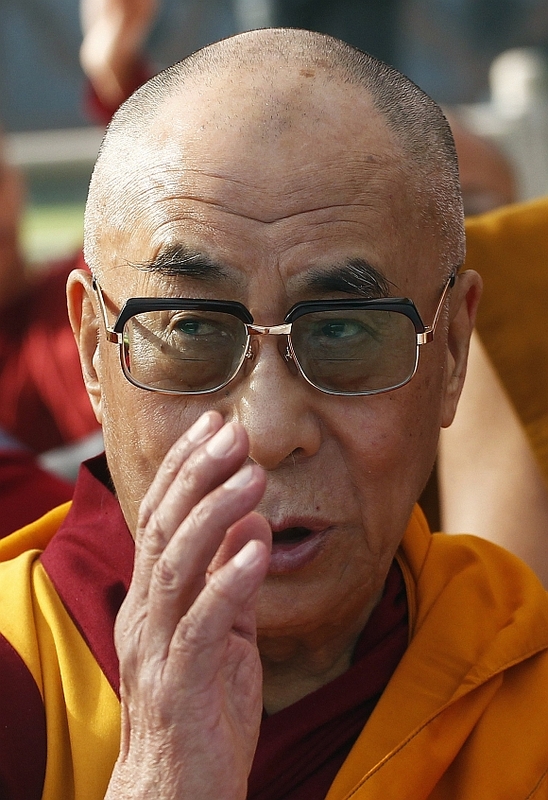 As a part of compulsory 'patriotic re-education' the monks must study communism and submit essays condemning Dalai Lama by name and also those who believe in Tibet's historic identity as different from China as a nation. Over past two decades, Beijing's dual policy of promoting visual aspects of Tibetan Buddhism, like monasteries, temples, fine arts and handicrafts to attract international tourism, and occupying Tibet's religious hierarchy from within by stronger regimentation of the monasteries has only further enraged the monastic community. Since the third meeting of Work Forum on Tibet in 1994, a policy designing group of China's Communist Party to maintain control over Tibet, Chinese leadership had first time in 43 years of Tibetan occupation recognised the importance of religion over the Tibetan society and evolved this new strategy. As a part of this strategy, Beijing established an official committee of Tibetan monks and communist administrators in Tibet to search for the reincarnation of former Karma Pa in 1994 and later for Panchen Lama in 1995. However, Karma Pa, identified by the committee, later escaped to India to join the Dalai Lama. But the five-year-old Gedhun Choeky Nyima, was recognised as the new Panchen Lama incarnate by the Dalai Lama from exile before Beijing could take a decision. As a result he was taken into custody by China in 1995 and is since missing. Beijing installed another boy Gianchin (Gyaltsen) Norbu as the 'real' Panchen Lama. On August 3, 2007, Beijing went a step further in the direction of controlling religion when the state religious affairs bureau issued 'Order No. 5' which transferred the final authority of recognition of any 'Tulku' (reincarnated high ranking monks) from the Tibetan monastic community into the hands of the Communist Party and the administrators controlled by it. By implication, the next Dalai Lama will be considered as 'legitimate and real Dalai Lama' only if his rebirth is certified by the concerned Communist leaders of China. That explains the growing frustration among the monastic community of Tibet today. 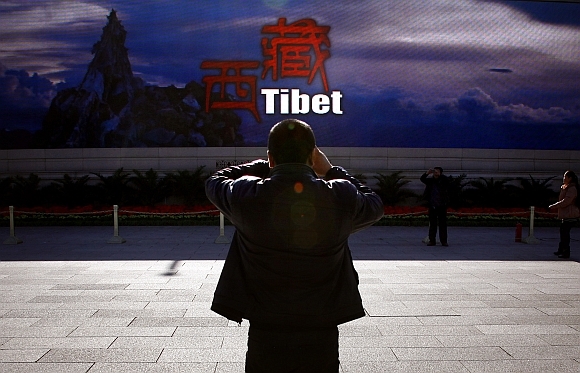 China's policy of finding the 'last solution' to Tibetan problem by changing the demographic character of Tibet has emerged as the biggest source of social frustration and helplessness among the Tibetan masses. Living under Chinese occupation in Tibet Autonomous Region as well as the other two provinces of Kham and Amdo which were dismembered from Tibet and their parts were integrated into adjoining Chinese provinces of Yunnan, Sichuan, Gansu and Qinghai. Over the past two decades, millions of Han Chinese have been brought and settled all across Tibet as a part of Beijing's project, popularly known as the 'Western Development Plan'. This has rendered local Tibetans into an almost meaningless minority in their own towns and the country as a whole. In Lhasa, traditionally a city of hardly 20,000 residents in normal days and a hundred thousand during the month of annual prayer festival 'Monlam', the number of car registrations crossed the figure of approximately one lakh in 2008. Today much over a million (exact figures not known) Hans dominate Lhasa landscape. With most of good land being taken over for farming, new towns, expansion of cities and mining projects; establishment of new projects and business aimed at the skills and needs of migrant Hans; overwhelming of Tibetan language by Chinese Mandarin and resulting disadvantage to the Tibetan youths #8743 diminishing physical scope for expression of their socio-political concerns amid a flood of Han migrants has taken the levels of Tibetan frustration to newer heights. On August 13, 2012 Passang Lhamo, a 62 year old Tibetan woman set herself on fire in Beijing in front of a government office. In hope of justice, she had travelled all the way from her house in Eastern Tibet where local authorities had taken over her family's land for reorganisation following the earthquake but had refused to compensate them for the grabbed land. Similarly, on June 27, 2012, Dekyi Choezom, a 40-year-old Tibetan woman set herself on fire during a public protest in Jaykundo, also in Eastern Tibet. 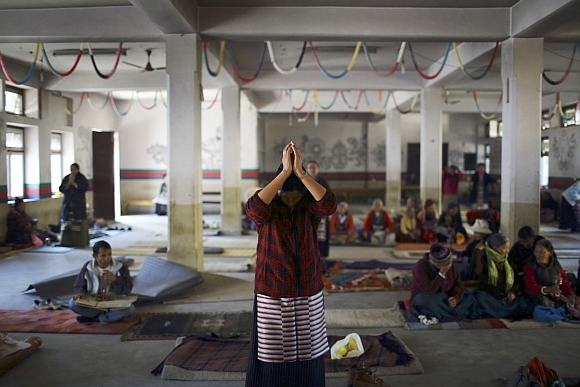 A group of 70 Tibetan families were demanding their right over their own lands which were taken away in the name of reconstruction plan after the 2010 quake. Recently, during one of my travels inside Tibet, I was shocked to see long stretches of hills along Chengdu-Lithang route in Eastern Tibet with most of trees taken away and hundreds of tree trunks lying on slops for drying or transportation. Various international estimates of Timber taken away from Tibet to China put the figures at US $ 50 billion. And a good part is supposed to have gone to individual pockets of Chinese communist leaders over the years. 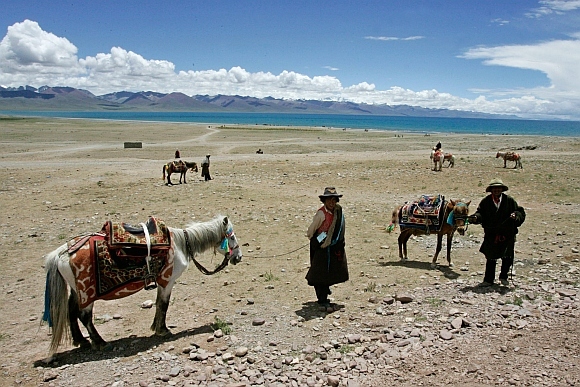 Recent Chinese enthusiasm to 'protect' environment in these regions have spelt a new disaster for the nomad community of Tibet who form over a third of Tibet's total population (six million by 1951 estimates). As a part of new 'scientific' campaign, the nomads have been ordered to quit migratory living and cattle rearing and to settle down in pre-decided and newly developed colonies. Feeling uneasy in small matchbox like brick houses and incapable of earning their living in the new urban system, many among them have taken to drugs, gambling and alcoholism. 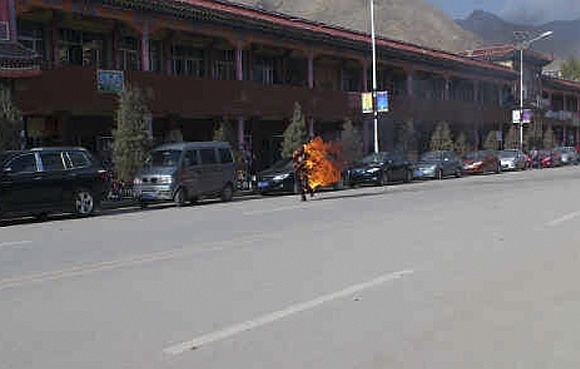 On November 26, 2012 Kunchok Tsering,18, a married young man and a former nomad, forcefully resettled recently near Amchog town of Gansu set himself on fire and died. Interestingly, it is not only the Tibetans who suffer in today's China or who are protesting against the Han colonial hegemony. Hundreds of protests from Xinjiang ('East Turkistan' until China walked in during 1949) and Inner Mongolia have been reported in recent years. It may be interesting for socio-political observers that not a single among the 99 Tibetan self-immolators tried to kill or hit any Han settlers and occupants of their homeland against whose presence in Tibet they have been protesting. In contrast, when Chinese Han youths killed three Uyghur migrant workers in Guagdong in June 2009, the Turk Muslims in Urumchi and Kashgar hacked over 200 Han settlers and Chinese police. However, in the retaliatory killings organised jointly by the Chinese police and Han settlers in Xinjiang killed many more and arrested over a thousand of Uyghurs. A sad aspect of the ongoing spate of self-immolations in Tibet today is the silence of the world community. In a world where one self-immolation by a Tunisian street hawker could lead to a chain of uprising in over a dozen countries, a century of lives ending in fire balls do not indicate towards a peaceful future. More than helpless kowtowing to the economic and military power of Beijing today, the world community is sending this unfortunate message to hundreds of struggling interest groups across the world that only violent expression of anger would win them world attention.